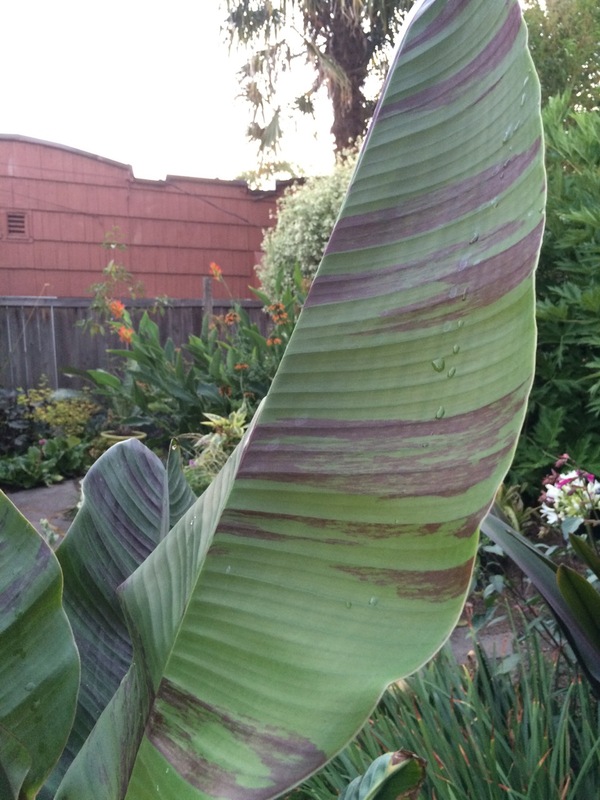 Musa sikkimensis ‘Red Tiger’ taken three years ago…before this Tiger lost its stripes! 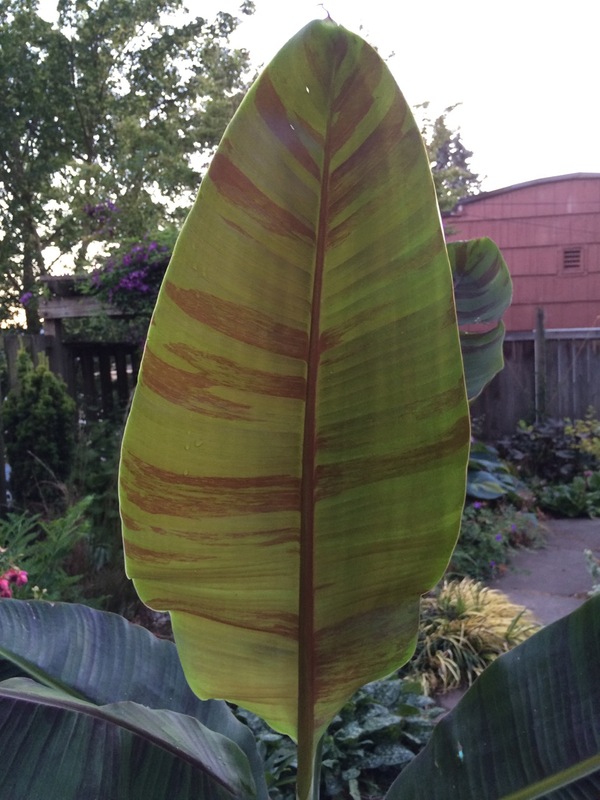 Musa sikkimensis ‘Red Tiger’ backlit. If I saw this plant in a nursery today, I’d be sorely tempted to buy it…again. Another Jimi Blake plant. I have history with this choice of Jimi’s…and the NW has a history with Bananas as well! This entry was posted in Botany, Evolution, Flowering, Growth, Plant Choice and tagged Ensete ventricosum, Hardy Musa species, Musa basjoo, Musa sikkimensis 'Red Tiger' on November 16, 2018 by gardenriots.